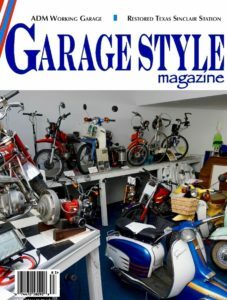 Our man on the Left Coast spends some time in front of the camera in his garage while Cindy Meitle profiles him for Garage Style magazine. 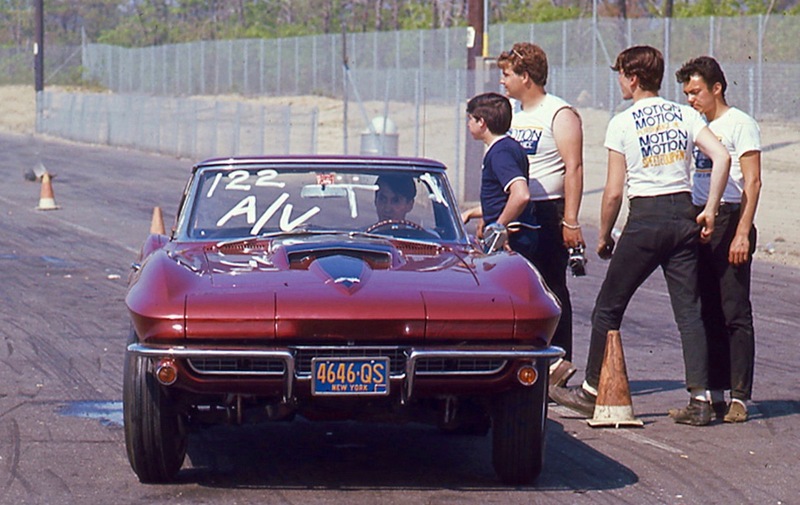 I first met Jim Palam more than a half-century ago when he was a kid on the pit crew of the legendary “Astoria Chas” Snyder’s ‘67 Corvette powered by an L88 engine, below. The car was KO-MOTION, it was built at Motion Performance, Baldwin, NY, raced by Chas, and I was Editor of Hi-Performance CARS magazine. CARS was one of the Corvette’s sponsors. Chas became a friend. 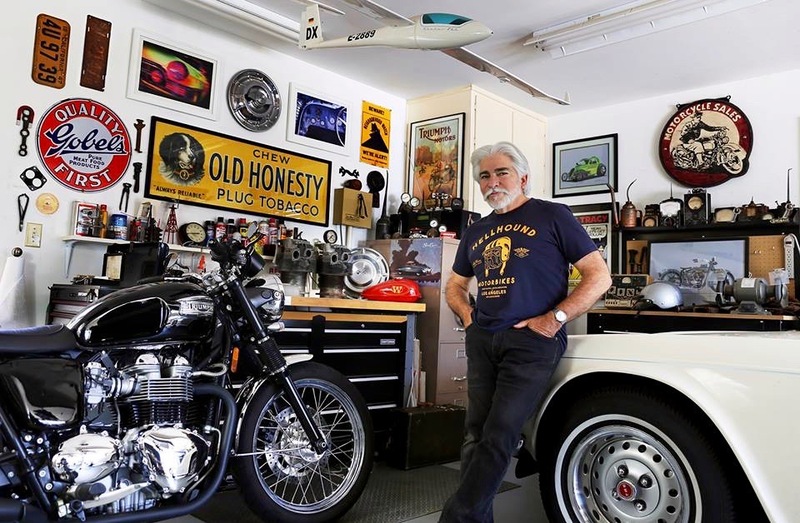 Everything changed in 1968 when 19-year-old Charlie Snyder lost his life in Vietnam, while serving with the First Cavalry. KO-MOTION went on to win the AHRA A/Corvette World Record at 129 mph in 11.04 seconds. The record was set in Chas’ name by his old team, supported by Motion Performance and still sponsored by CARS. In 2008 Jim and I met at 303 Gallery in New York City for the opening on my daughter Collier Schorr’s show, THERE I WAS, about Charlie’s short life and his iconic KO-MOTION. It was also the subject of a book – THERE I WAS – written by Collier. It was great seeing Jim again, surrounded by my daughter’s artwork and memorabilia from Charlie’s family and from Glen Spielberg, owner of the legendary KO-MOTION. KO-MOTION & crew at New York National in 1967. Jim Palam is wearing the Navy Blue shirt. 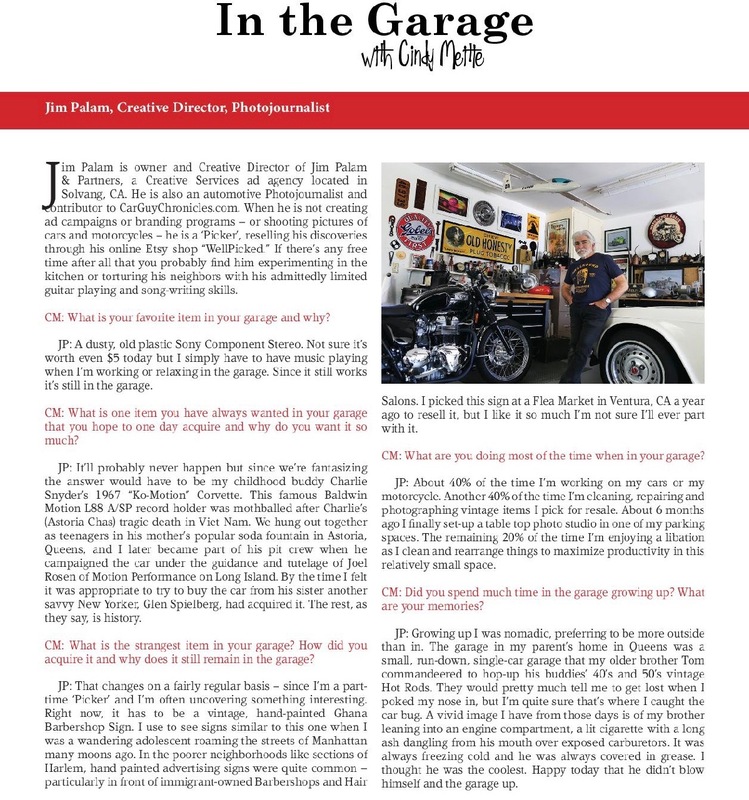 For the last few years Jim, owner and Creative Director, Jim Palam & Partners in Solvang, CA, has been a valued contributor to CarGuyChronicles. He’s also responsible for the blog’s home page design. Congrats, my friend!